This past Sunday, these two women met for brunch, and then went off to Museum London to see a presentation by Little Ray's Reptile Zoo, a privately funded zoo and animal rescue that has a travelling reptile show. Linda and I find snakes, lizards and other scaley critters rather fascinating so we thought it would be an interesting way to spend an hour. When we arrived a few minutes after the show had started, we found ourselves at the back of a large crowd of children and adults. The man in the hat in the upper left of the photo was holding, and talking about a particular salamander that is on the endangered species list. Unfortunately, the noise level in the room was so loud that you could barely hear what he was saying, even though he was almost yelling. At one point, a man standing near me put up his hand and asked if the presenter could speak louder, and without thinking, I said out loud, to no one in particular, "maybe if everyone shut up, we could hear him". In that moment, I officially became a crochety old lady. I recalled that if I was ever taken to a show or exhibit when I was a kid, there was a conversation beforehand about the behaviour that was expected of me - pay attention and be quiet. Apparently that talk isn't had by many parents and children anymore. When we realized we were never going to be able to hear what the poor reptile guy was saying, we decided to explore the rest of the gallery. We crossed into the large main gallery and saw this, prompting us to both exclaim "DRESSES!" 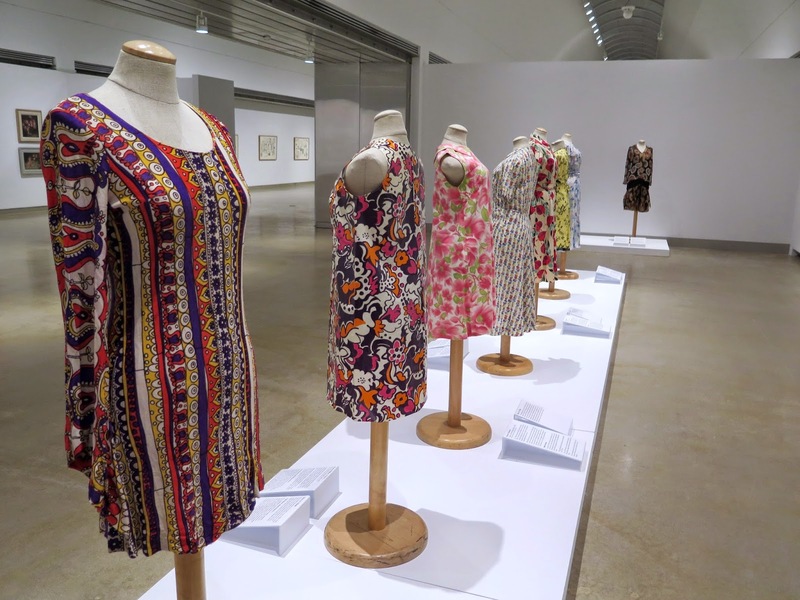 The dresses were part of an exhibit titled "In Full Flower", featuring women's dresses, decorative objects, and paintings with a floral motif from the Museum's collection. Flowers have been used extensively throughout history as a decorative motif by artists, fashion designers, and crafters and have held a variety of symbolic meanings. They are usually associated with femininity, and thus are a popular choice for fabrics for women's clothing, hence the dresses on display. 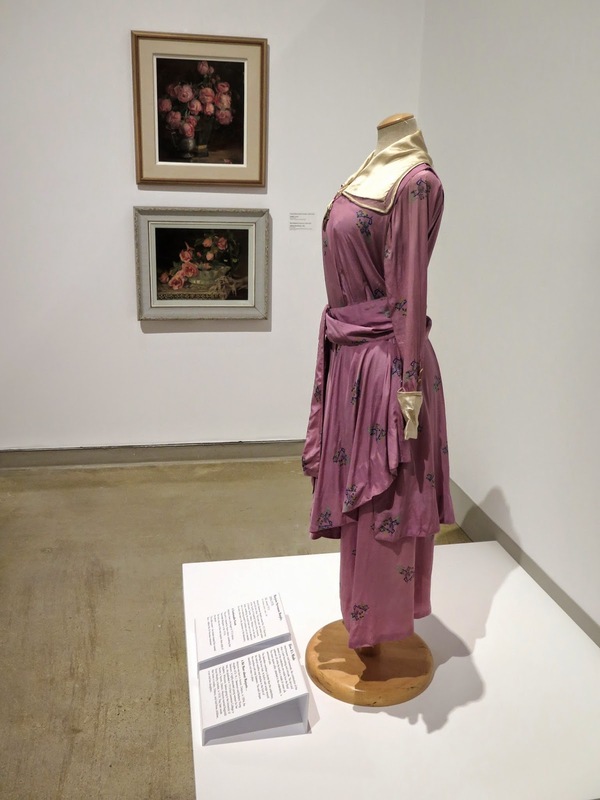 Unfortunately, the paintings that were chosen for the exhibit were mostly dark and featured rather droopy flowers (notice the two on the wall behind the dress) which made them not worth documenting. The silk dress in the photo from around 1915 was owned by Marjorie Stevenson Morphy, and is an example of a very fashionable outfit of the time period. A very welcome, and quite fascinating addition to the exhibit was the display cards below each dress that not only described the dress and how it was made, but also gave some information about the woman who had owned it. The cards in the photo above are for the chiffon dress in the previous photo. I love the name Eloise! 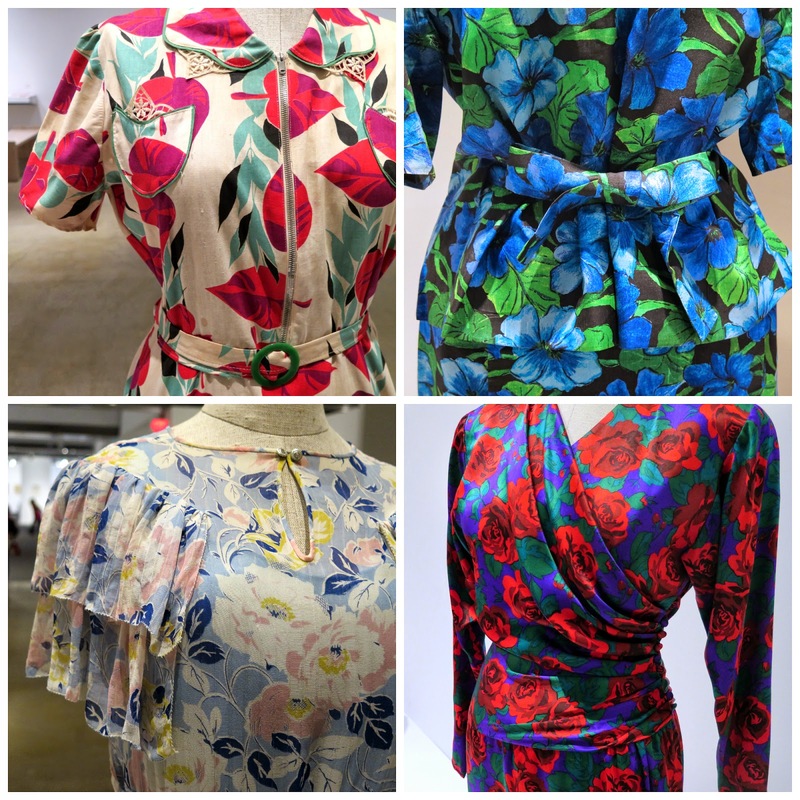 Details of some of the dresses on display (clockwise from top left): Lace detail on the collar and pocket of a 1940's cotton dress donated by Western's Brescia College; waist detail of Arnold Scaasi silk dress purchased by Judith Roger in 1964 for her wedding trousseau. Judith's daughter Milisa Burns then wore the dress as a going away outfit after her own 1991 wedding; vibrant floral pattern and draped bodice and waist of a 1980's dress owned by Isabel Wilson Roger; ruffled capped sleeves on a 1930's georgette dress worn by Bertha "Mabel" Riether when she was in her 50's. Linda and I were intrigued by the description for these two dresses, both owned by Sophie Skaith. 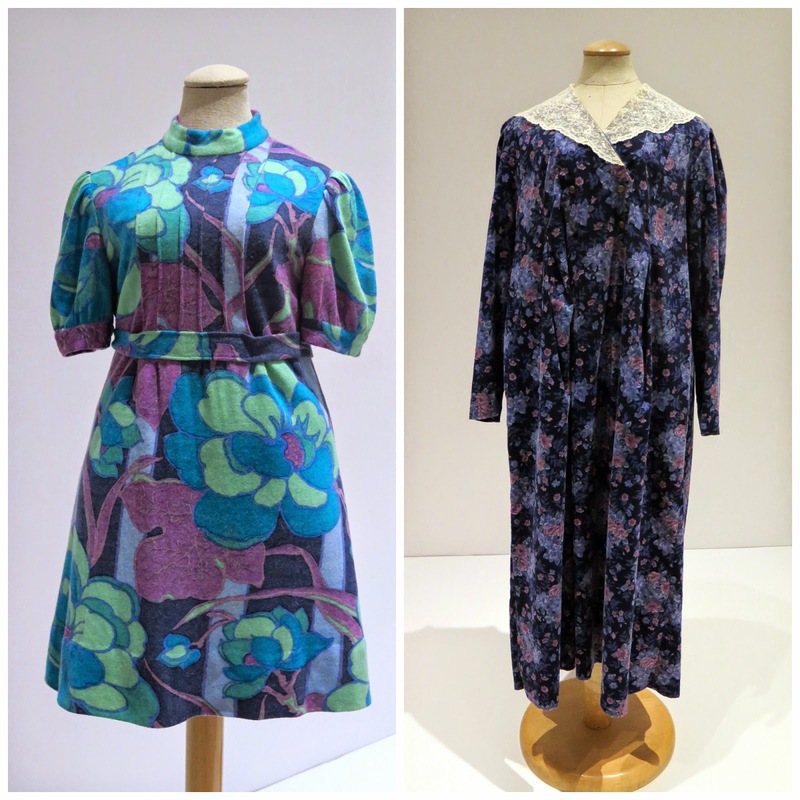 Skaith made the mini dress on the left in 1970 and according to the information card, she wore it a lot because "it just made me feel so good and I just loved to wear it". We were surprised to see that the rather dumpy Laura Ashley dress with the lace collar was also owned by Skaith, and it was noted that it was one of her favourites. 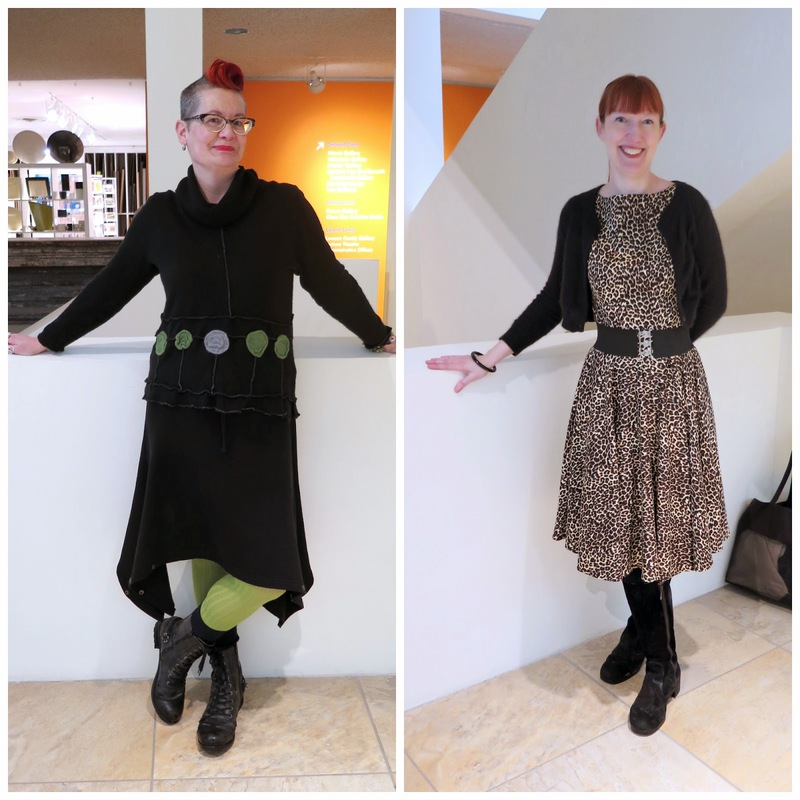 Linda and I were very tempted to try to contact Ms. Skaith, who is still alive, and find out how the same woman that made the bold flowered minidress on the left could also be so enamoured with the drab, shapeless dress on the right. Oh yes, reptiles and floral dresses. I see the connection...? Haha. I'm glad the dresses were there. What's up with audience behaviour? I went to a concert a while ago and it was like a sports event, everyone talking, getting up randomly to go to the lobby for drinks and food. I couldn't believe it. You weren't being crotchety at all. It's too bad you were compelled to leave. I like the personal stories with each dress. What a difference it makes to the connection with these pieces. About Ms. Skaith, the mini was 1970 and Ashley was big in the mid- to late-'80s? 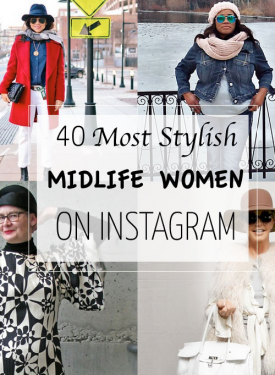 It's possible the Ms. Skaith started to dress more "age appropriately"? Or she simply loved the colours and lace of the Ashley. Let me know if you find out. I love the photos of you and Linda. I would have muttered loudly about being respectful to the guest and shutting the f**k up. :-) Actually, once I heard the hubbub and saw all the kids I'd be all over that dress exhibit! I love hearing about who owned the dresses! I'd love to know about that gawdawful shapeless Laura Ashley monstrosity. You and Linda look fabulous! What a lovely exhibition! I too really enjoy exhibitions that include a personal touch. I found your musings on Mrs Skaith's varied tastes interesting, too. 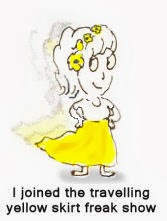 Of course Ms Bag's explanation makes sense, but, being one such myself, I must point out that some people simply like to vary their style a great deal. I certainly enjoy wearing skirts of all lengths, sometimes when I dress I fancy showing off my legs and sometimes I feel like being mysteriously enveloped in enormous quantities of dark fabrics, my form barely, if at all, discernible beneath. Sometimes I may like a whole dress largely because of it's lace collar, say, and not give a damn about how conventionally attractive I appear in it. Sometimes that can be just as much of a f***-off to the world as super skinny jeans, massive boots, and a leather jacket. Reptiles and dresses, two of my favourite things! I'm dying over that 60s PVC mini and its polyester companion and love how the museum documented details of the owners, that's something I wish all vintage clothes could come with. Other people's kids have no respect for the rest of the world. My kids would be told to shut up or leave. The dresses are great! I love the two from the Sixties. How uncomfortable would PVC be after a night of dancing? It's great that the displays told of the dress owners. It makes the clothes come alive in a way. What a mix of exhibits! LOL It would be amazing if you contacted that woman. I sure hope it isn't because she wanted to dress "age appropriate" as Melanie suggested. I too would have rushed right over to the dresses! Reptiles are interesting, but rude behavior not so much. 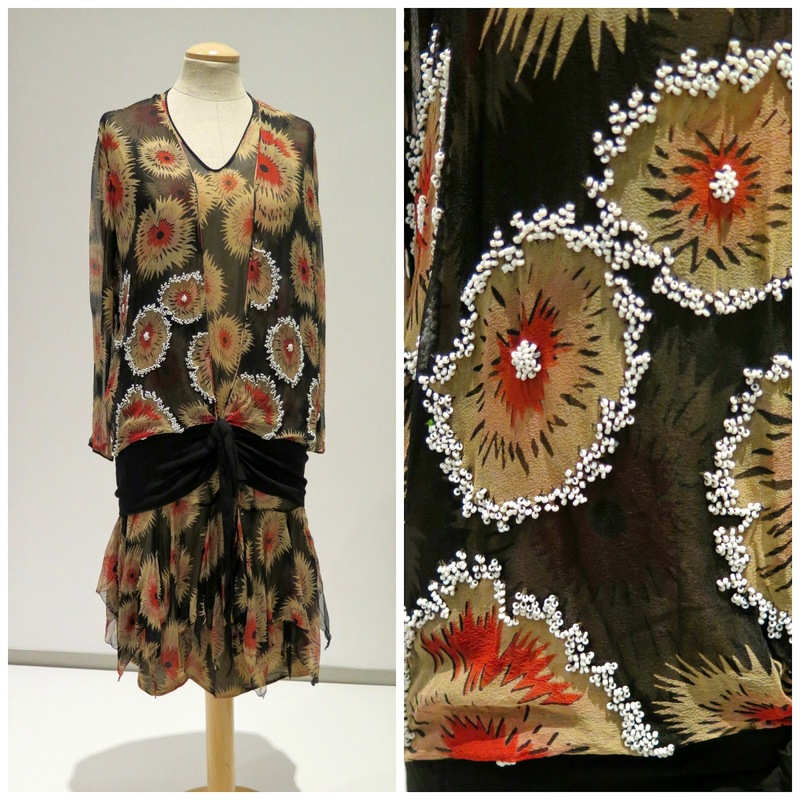 Love the 1920's number and I would never tire of the chiffon floral print. Another great museum review, Shelley. 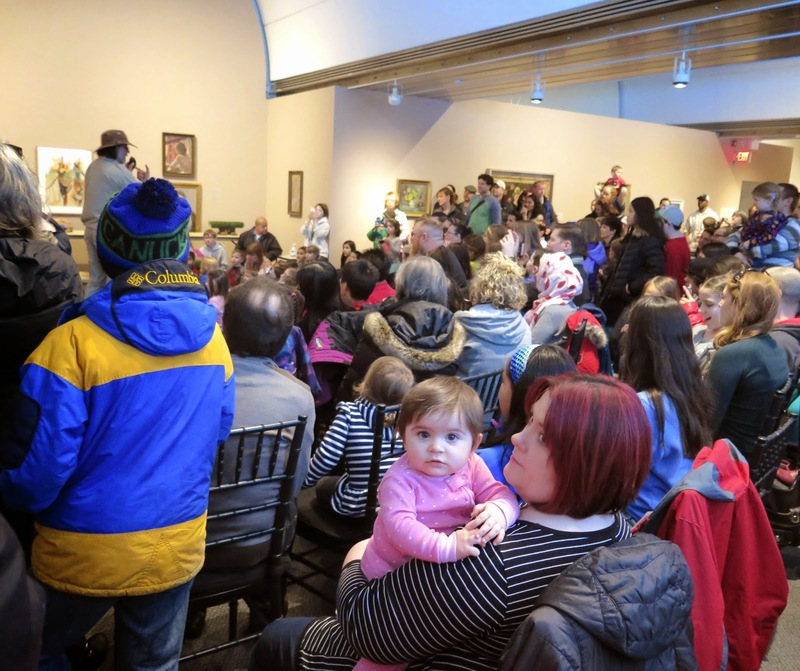 Looking at the crowd, there are more adults that children present, so I would be more inclined to be disappointed with the lack of parenting rather than with the kids' behaviour; they learn from us what is and isn't appropriate, don't they? And increasingly adults appear to disregard the guidelines of communal events which I was brought up with (ie. you shut up and listen when at a talk, you don't chat through a film or play, etc). I've seen parents at school on the phone chatting while their kids are performing on stage. Unbelievable. 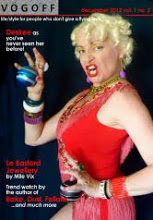 And if that makes me a crotchety old lady too, then so be it! The dress exhibit looks so fun!!!! on the other hand, those dresses are beautiful. As luck would have it, you were able to roam the dress exhibit unencumbered by clamoring kids, et.al. 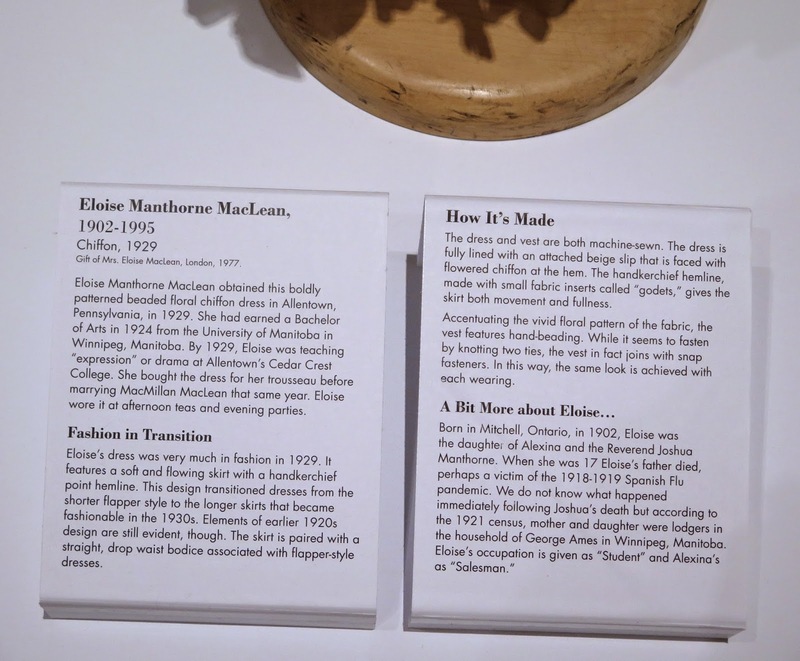 It is sort of homey that the museum or gallery would put up such extensive info on ordinary dresses. But that adds to its charm immensely. For a show that was gathered together from their own collection of floral items, they did a bang up job. And you, of course, did a most excellent review. That's such a shame about the reptile show. I'm a very young adult and I would have still been the crotchety old lady hissing at kids to shhh. Huh. I love lizards. But it's great you found such an interesting exhibition! Really love what you're wearing. 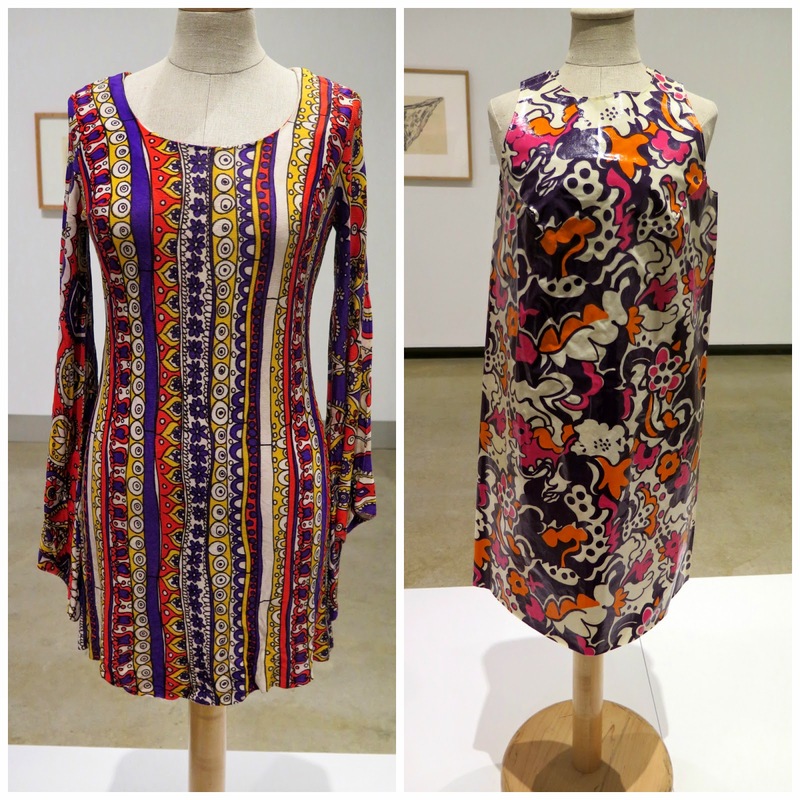 And loved the range of fabrics and prints on the clothes in the exhibit. I'm with you. Recently I went to a protest and the women and children in front of me were very noisy. They were treating it as a social event rather than an opportunity to learn from the speakers. In contrast, when I went to a Sharon Van Etten gig the audience was spellbound, despite having chatted loudly through the support act. Granted, the two events didn't have much in common, but there is an increasing tendency for audiences to lack concentration, shall we say.